Do you have rats in your attic? If you’ve seen droppings, spotted urine stains, or noticed small holes in your walls, you likely have a rats infestation problem. The telltale sound of scratching in your ceiling is a surefire sign you have rats nesting in your home. It’s important that you call an expert at the first sign of a pest problem, as these rodents can multiply quickly. 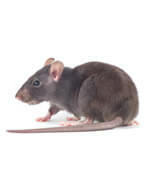 Removing rats in the attic is a common service request at Critter Control of Southwest Florida. Because they are so adaptable, they can prove to be a challenge to get rid of on your own. They readily eat anything they can scavenge, so they quickly become comfortable in your home. Unfortunately, these animals can spread disease and cause serious damage if not tended to efficiently. At Southwest Florida Critter Control, we can do more than remove the rats in your attic for good. Our attic restoration experts can also fix the damage in your house, leaving you with a better attic than the one you started with. You don’t need to worry about relying on a third party contractor, as we have the expertise to get the job done quickly. Plus, we’re familiar with the process of providing quotes to major insurance companies. Ask us how we can make your attic more energy efficient and about any available energy tax credits. When it comes to attic restoration, the services at Critter Control can’t be beat. If you’re sick of battling rats in the attic, give us a call. We’ll work with you to create a plan that fits your needs and budget. Get started today!